I’ve also included some low-res scans of the article. 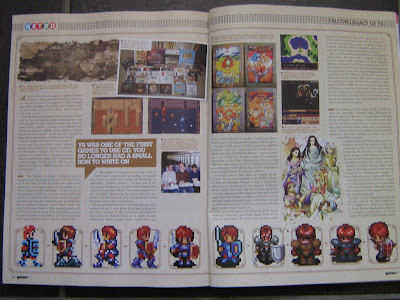 Someone on the Ancient Land of ys forum though has posted HI-RES scans, if you want to read it but don't have access to the magazine. Since I was over my word limit, there’s every chance that interview answers were cut from the final version (I’ve not seen it, I’m still waiting for my freelancer copy to arrive! ), so I may add more here later. 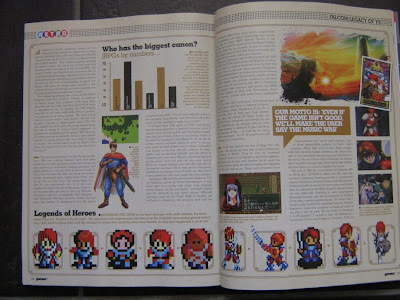 JS: What was the inspiration for the red-haired hero Adol Christin, and the world of Ys he lives in? TK: He’s a young adventurer and even though in his profile it states that he later writes over 100 adventure journals, in-game he never speaks and you can never tell what type of person he is. 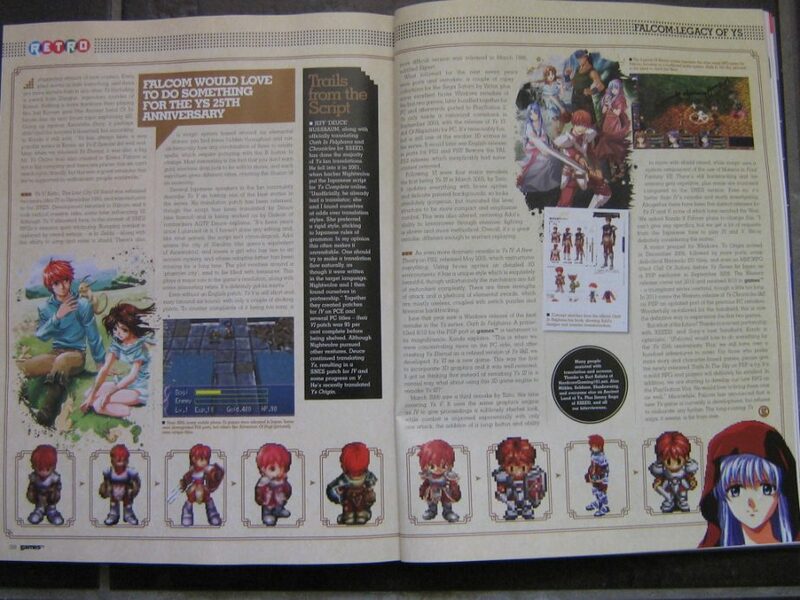 This is because we wanted Adol to portray the player within the world. Now Adol is beloved in the same way as a popular historical figure. He is a very mysterious character who never speaks, but fans still have their own interpretations of, “This is like Adol,” and, “this is not like him.” Throughout the series players have been imagining who he is through his actions and adventure journals, and now that common thought has become part of who Adol is. In that sense he is a character that has been fostered and molded by the players. JS: Is Falcom shifting more to consoles than PC development? TK: Recently, we have been concentrating on the console side too and getting a lot more fans that may not have played any of our PC games. JS: What was the reason for outsourcing development of Ys IV to both Tonkin House and Hudson? How much influence did Falcom have on each game? TK: I’m sorry but I do not have any details about what happened then and cannot comment on this question. JS: English speaking fans are so passionate they’ve made unofficial translations of Ys – what does Falcom think of this? TK: We’re really honored that people are interested in the Ys world so much. However, at the same time we always felt guilty for not being able to bring an official product to their hands. We’re very pleased that after a long time we were finally able to bring over an official English version for this audience. JS: The popularity of the Ys series has endured for 24 years. Why do you feel this is? Are you planning a surprise for its 25th anniversary? TK: In Ys lore Adol is said to have left hundreds of adventure journals. The latest adventure we released was the 7th adventure so there are a lot more adventures to cover. It might be the excitement of wondering what adventure Adol tackled at what age that makes this series possible. JS: What happens next for Falcom, the Ys series, and your partnership with XSEED?? TK: We were able to release the first chapter of the “Trails” series in the States. The European version is schedule to come out later so please keep an eye out for it. We announced that we will be releasing the latest iteration in the Trails series, “Ao no Kiseki” (direct translation: “Trails of Blue”), for the PSP in Japan. JS: Do you want to say anything else to your English fans? TK: For a long time we have been getting requests from the English speaking fans to publish an English version but we couldn’t fulfil their wishes in a consistent manner. This time we were able to develop a partnership with XSEED Games which provides us with a pathway to release our titles in English territories. For the Ys series we were able to publish Ys SEVEN, I & II Chronicles, and Oath in Felghana so please give them a try if you haven’t done so already. We would love for more people to play our titles and get familiar with our work, and in the meantime we’ll strive to create more titles. JS: Can XSEED comment on working with Deuce to bring about the official localisation of Oath in Felghana and Ys I&II? As we were getting ready to start on the translations for these projects, our newly hired Falcom fanboy, Tom, stated that there were already some great English translations created by another Falcom fan that went by the name “Deuce” on message boards. Since Tom knew Deuce he reached out to him about us using his translations and Deuce was immediately onboard. A lot of companies, including us when there’s too many projects for our in-house staff, outsource their translation so we figured why not outsource it to someone that’s intimately familiar with the material while also saving us the time of taking a couple months to do it since it’s already done? We always have our internal team proof and edit any translated scripts, but this saved us some time in our localization process to be able to allocate any time usually reserved for the translation process to the editing side for a more polished final product. JS: What are XSEED’s future plans with Falcom? Ken from XSEED: We have a very strong partnership with Falcom where we’re always discussing potential projects, both new and from their great back catalogue of games, for English localization. Though we haven’t finalized the terms yet for either of these titles that Kondo-san mentioned, we will continue to have discussions with them about these and other titles to determine together which ones make the most sense to bring over. JOHN GREINER – head of MonkeyPaw Games and localiser on the original PCE-CD/Turbo Duo version of Ys I&II. I remember Ys of course. In fact, it was one of the first games I ever worked on. 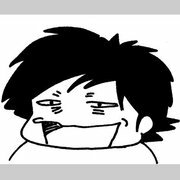 I helped Iwasaki-san with the English version. 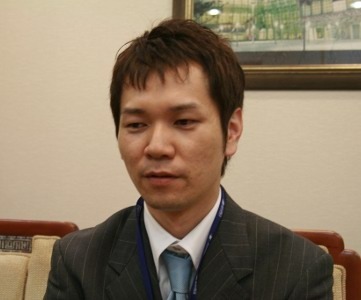 The game producer was a guy name Iwasaki, a freelance to Hudson. Although I don't know how the title came to Hudson, he just might. Well, Hudson's CD ROM-ROM add on to the PC Engine was the first time that a CD drive had been attached to a dedicated videogame console. Its hard to imagine games before large format media but CDs offered the chance to do real voice and deep cinematics. Ys was the first game to really use the space and the effects were dramatic. Iwasaki-san was the Hudson producer. He was a near-genius and was very talented. When the game came out, it opened a new era in the industry as now the bar was set much higher and the way to make games was changed forever. So in some ways, Ys was a precursor to what games have become today. 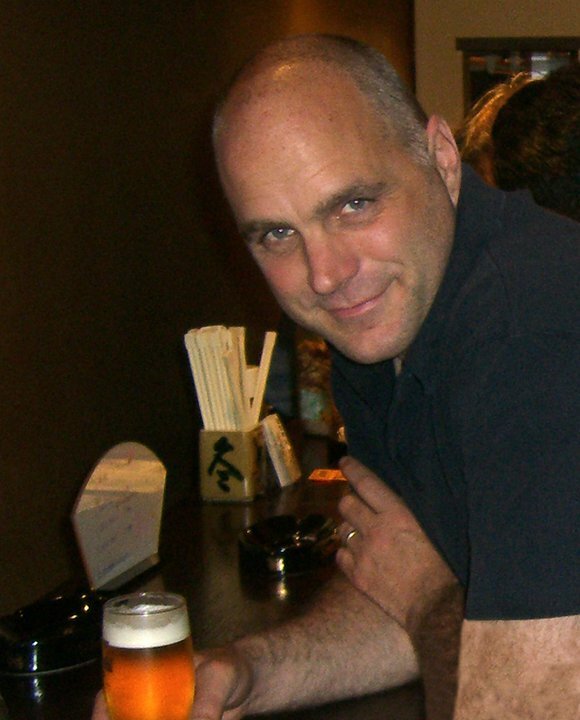 JEFF “DEUCE” NUSSBAUM – official XSEED translator on several Ys games, freelance fan-translator on older Ys games. JS: Briefly describe yourself and current occupation. You’re an official translator, correct? JN: I'm a generally disagreeable and highly opinionated sort of fellow who is very fond of inflicting his tastes on others (sadly, I’m not joking... just ask my wife). My current daytime job is as data analyst for a multinational corporation. A boring title which has no bearing on my passion, which is, of course, games. Officially, I’ve translated two Ys releases for XSEED (Ys: The Oath in Felghana and Ys I & II Chronicles), and about 1/3 of the text in Legend of Heroes: Trails in the Sky. Unofficially, the only Ys title I haven't translated at least 90% of is Ys Seven, and that’s just because XSEED's deal with Falcom was announced before an Ys Seven fan translation project could get off the ground, beyond a 30-second proof of concept video that was never publicly released. JS: How did you first get involved in translating the Ys games? JN: Very much by accident. Back in 2001, I was poking around the internet and found place called RIGG, dedicated to preserving old PC Engine and TurboGrafx CD games. It was run by a fellow by the screen name of Nightwolve (which, to this day, makes me think of “Nightwolf” from Mortal Kombat). I found out that he was doing some tinkering around with Ys I Complete for PC, which I had recently purchased. He had put up the Japanese script file for anyone to mess with, and so I downloaded it and decided to see if I could translate it. I did, though it took a while. This was my very first serious translation work of any kind, so it was a pretty sloppy first draft, by my standards, though more for translation errors than anything else. I’d made no announcements regarding my intention to translate the script, and the fact that I literally popped up out of nowhere with a translated script was a little jarring to NW. JS: From here you partnered with Nightwolve, correct? JN: [We eventually worked] on several other Ys titles, most of which saw an English patch release. We actually were about 95% done on Ys VI: The Ark of Napishtim before there was a lawsuit between a Falcom licensee and a Korean translator/hacker, which resulted in us halting the project entirely. Soon after, Konami announced their licensing deal to bring the game to the United States on PS2 and PSP, so our PC patch got shelved indefinitely. It’s worth noting that Nightwolve and I could not have been more different without making a concerted effort to do so. He was (and is) an extremely conservative Republican... your prototypical Bush-supporting, flag-waving, God-fearing, go-get-‘em sort of fellow. I, on the other hand, have more liberal-leaning, radically-atheistic views. It’s no stretch to say that our only common ground was our mutual love of the Ys series. The turning point came with the release of Ys: The Oath in Felghana for PC. I was incredibly excited for the game, bought my limited edition copy, and pestered Nightwolve (henceforth called NW) for a script dump from day one. Once I had it, I burned through the script and had a 100% completed rough draft in seven days... a record for me. So, NW took the script and built a beta-test version. Given his then-current financial state, he had been partially relying on donations from his web site to defray some of his basic costs. So, he had the idea of making the Oath in Felghana beta available exclusively to those who donated, then publicly available once the donation period was completed. This idea did not sit well with much of the fanbase. He was called every name in the book, and then some. But everything didn't truly go south until someone donated to receive the beta patch, and then immediately distributed it online. NW kind of lost it at that point. He felt his trust had been betrayed, and he obsessed over finding the source of the leak for years. He schemed to find ways to punish those responsible, spoke openly of hacking the pirates, planned out ways to mess with people who were using pirated copies of games with his patches, etc. He could never let it go and move on. In the end, it was that, more than anything else, which proved to be the dissolution of our partnership. He simply became more interested in obtaining revenge than in translating the games, which was always the point for me. At the time of this writing, I believe it's been a little over a year since I last spoke with him. I hope he's doing better. Outside of that whole matter, I've also [worked with Gideon Zhi of Aeon Genesis http://agtp.romhack.net. JS: You’re very much connected with the fate of the Ys series in the west due to unofficially and officially translating several games – how did you discover the series? JN: I first discovered the series like many of its long-term fans did: the TurboGrafx-CD. Back around 1991 or so, there was a local store named “Power Up” where they actually rented out game systems and games, including imports. They did this well in advance of Blockbuster catching on to the idea. This store was, incidentally, how I first discovered the Super Famicom (ahh, import ActRaiser) and the Neo*Geo (thus creating another expensive obsession). 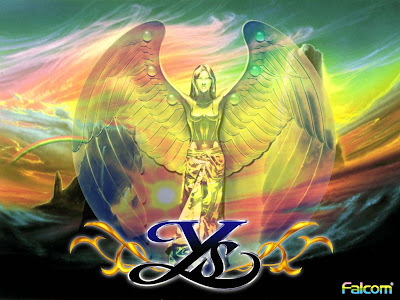 I actually heard the music for Ys Book I & II well before I ever had a chance to play the games, and I was blown away. When my finances allowed one Friday, I rented a TurboGrafx-16 and the CD attachment, a copy of Ys Book I & II, then took it home to play. I then spent the entire weekend glued to my television, completely riveted by what I was seeing and hearing. It was official: I was in love. I did eventually purchase that same system from the store, as well as a copy of the game, and I still have them, to this day. At that time, I was utterly charmed by the music, and the way the story unfolded really kept me going. I was particularly enamoured of the fact that Ys II let you turn into a monster and talk to other monsters for original dialogue, and to villagers for alternate dialogue (some of which was quite funny). Of course, there’s also the voiceovers, which were mostly well-done: a revelation in the early 1990s, and (sadly) still pretty impressive, even now. My favourite entry is kind of a toss-up. I was extremely impressed by how well Falcom handled the new party-based combat system in Ys Seven, and I loved the new skill system. I liked the story better than most of the reviewers (who have apparently been playing games with the plots of Amadeus and Schindler's List combined, to judge by their comparisons and criticisms), though I'll concede that it could have been more in-depth than it was. If not that, then it would have to be Ys: The Oath in Felghana. Ys III was always a game I never really liked much (at all), and I was more than a little amazed that Falcom was able to take the worst game in the series and turn it into one of the best. JS: Most of the canonical series is now available in English. Falcom have mentioned they feel honoured that the fan-translation community has handled their games. Apart from Ys V, are there any other Ys games you hope have a translation released? JN: Well, there's really not much left. Ys Online was available in Europe for a while, but obviously, it never showed up in the States. Ys Strategy was only in English in Europe. I have a copy of that, and I can say that U.S. fans really aren't missing out with that one. 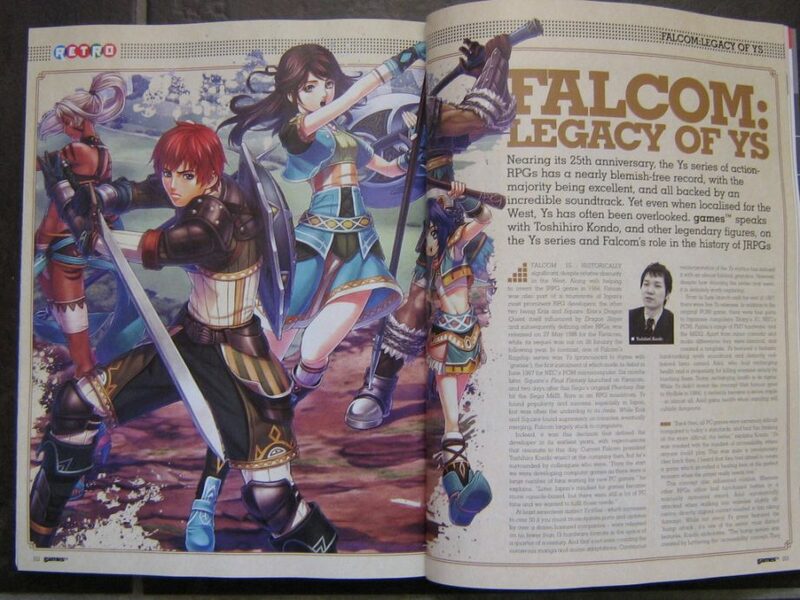 I'd like to see Falcom-made and officially-localized versions of Ys IV and V, as well as Ys Origin. Perhaps PSP versions of all three? But that's just wishful thinking on my part. JS: In the course of fan-translating, have you ever come across content which wasn’t normally accessible in-game? JN: Indeed, I have. 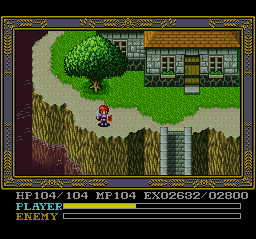 The PC-based Ys games have been full of debug menus that one cannot access via normal play, which would allow one to skip through the game to specific places in the story, set the amount of experience and gold possessed, as well as inventory. I've never encountered a means of actually accessing these menus, however. JS: Is there anything you personally want to comment on? JN: I’d like for gamers to know and understand just how much goes into translating/localizing a game. If you're lucky, you get someone like me and the Ys games: I do it because I genuinely adore the series, and I want non-Japanese speakers to be able to enjoy the games as much as I do. With a fan translation, one has the benefit of time and an extensive beta period. If glitches, context errors or just plain old bad grammar are found, one can go back and correct them, generally without a deadline hanging over one's head. This is where most of my experience lies, but after Trails in the Sky, I know how the other half lives. There’s constant deadline pressure, a daunting amount of text to be dealt with in a startlingly small amount of time, and depending on how long the project goes, it can really start to wear on a person. And then there are the other people on the project who have to lose sleep over it (poor Jess). It’s not always done by people who care about the source material, but in my limited professional experience, it has been. I try to maintain a pretty neutral stance on the whole piracy debate, but it really does hurt a small company like XSEED. Then you have the phenomenon of the “undub”, where enterprising fans remove any English-dubbed audio and replace it with the original Japanese voices. This, I feel, is just adding insult to injury, given that these “undubs” can’t be played on an unmodified system. A lot of work went into that audio, and personally, I consider it to be rather callous to remove it on a whim. I went through my phase of thinking everything from Japan was automatically better than anything from America, but I’m 37 years old, and that phase was almost two decades ago. I know, from personal experience, that it’s frustrating when a company does a lousy job with translating a game you like and you get a botched mess. On the other hand, I also know how it feels when you put in the effort and some folks just can't appreciate that it’s just “not Japanese enough”. Some of us do our utmost to respect the original work... so it’s always appreciated when the consumers respect ours, too. JS: I recently played through Ys IV on the Super Famicom with your translation patch and found both the translation and game to be excellent, despite fans criticising it slightly. Can you tell us about the translation? JN: It is still what I consider to be my finest work. The nature of the script enabled me to manually rearrange the text at my leisure, so I could put everything in chronological order. This basically eliminated context errors, and resulted in a final product that I could cheerfully stand behind. I think part of my motivation was that, since MotS really isn’t as good of a game as Dawn of Ys, I needed to really pump up the story and make the translation sing, so it would feel more worthwhile to the player. Interesting read. Too bad there wasn't any answers to that Ys IV outsourcing question. I really would've wanted to know more about that. Though I can only wonder why someone would work even as freelancer for a magazine that doesn't respect its authors.. I'm young, I need the money! Yes John, we know your contempt for the people you keep going back to for assignments. Can you keep it to maybe one sentence before the content instead of dotting the entire preamble with it? See what this is? I'm ignoring the actual point of the post and the "good stuff" to focus and comment on the needless negativity you spit out. This is what your idiocy is doing. What was that? Was that some nameless wind just now rustling some leaves? See what this is? I'm ignoring the actual point of your comment because you posted anonymously. If you have the gall to challenge me, step up to the plate and NAME YOURSELF.